U.S. senator from New Jersey and Democratic candidate for president. 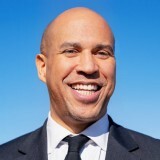 Who Has Endorsed Cory Booker for President? From every member of New Jersey’s Democratic delegation to a state rep. in Iowa, Cory Booker’s list of endorsements continues to grow.